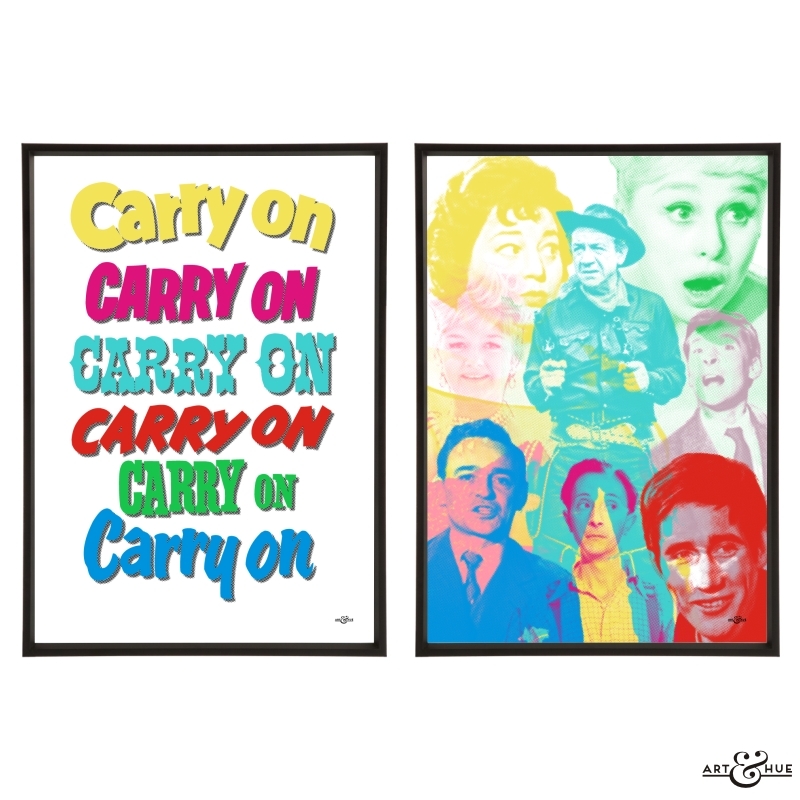 Two unframed art giclée prints, printed on 310gsm fine art archival matte paper, made from 100% cotton, using pigment inks which last several lifetimes. 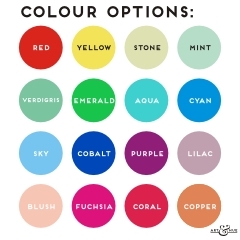 Available in A4, A3, and A2 sizes to fit standard-size picture frames.Please note that black frames are not included – for a guide on choosing a frame size take a look here. 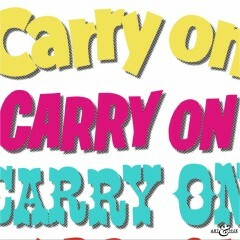 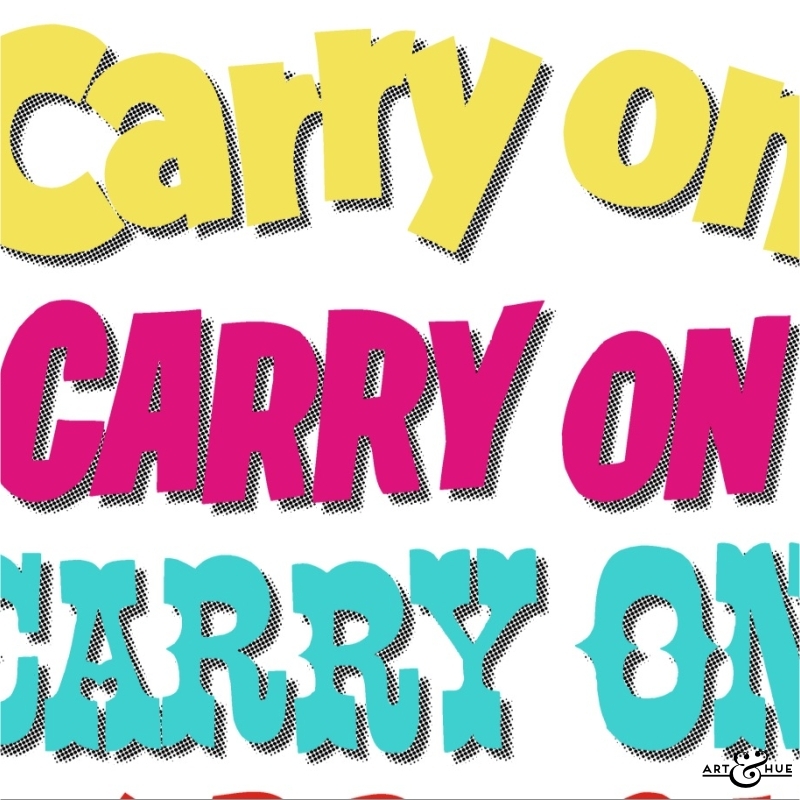 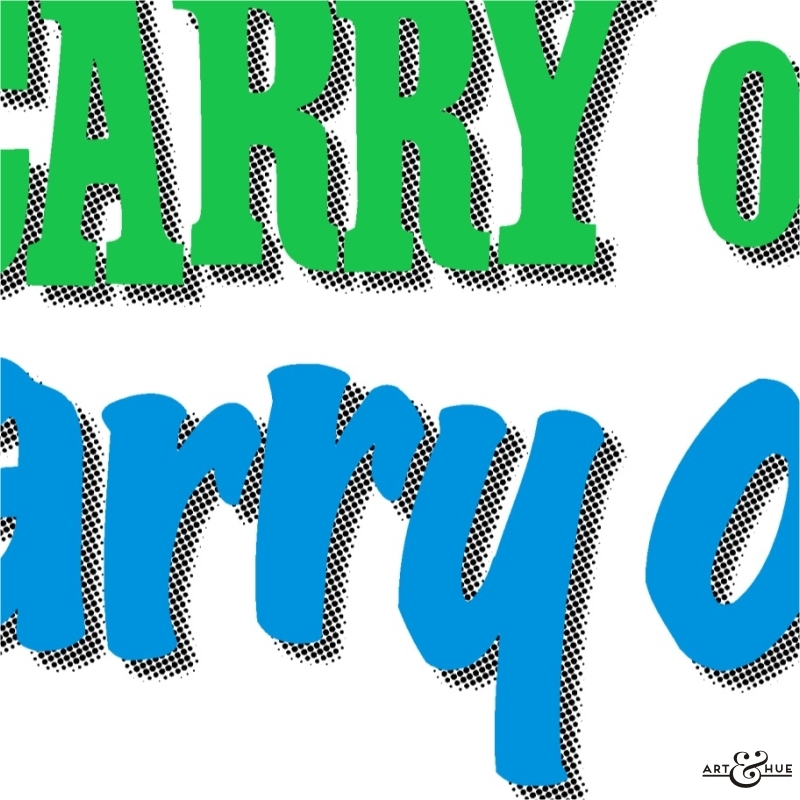 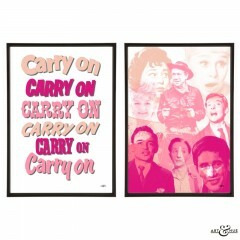 British film company Anglo Amalgamated distributed the first 12 Carry On films starting with Carry On Sergeant in 1958 and ending with Carry On Screaming in 1966. 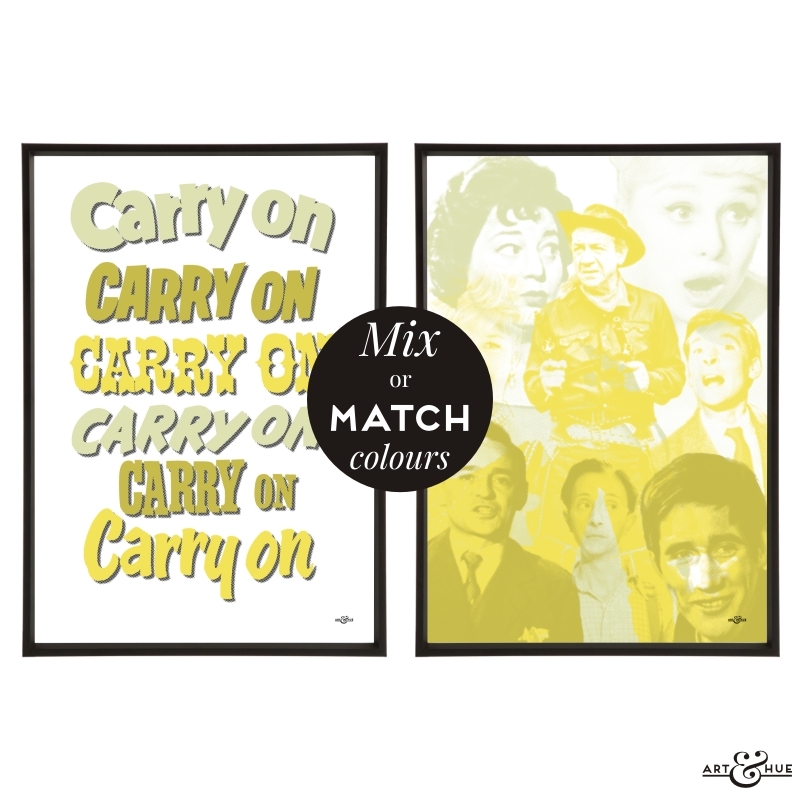 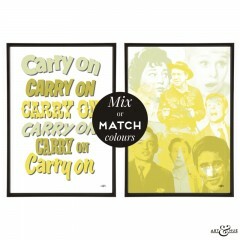 Delving into Studiocanal’s archives at Pinewood Studios, where the Carry On series was filmed, Art & Hue has created pop art inspired by the films, all available in three sizes & various colours for you to choose from to fit into the design scheme of your home.